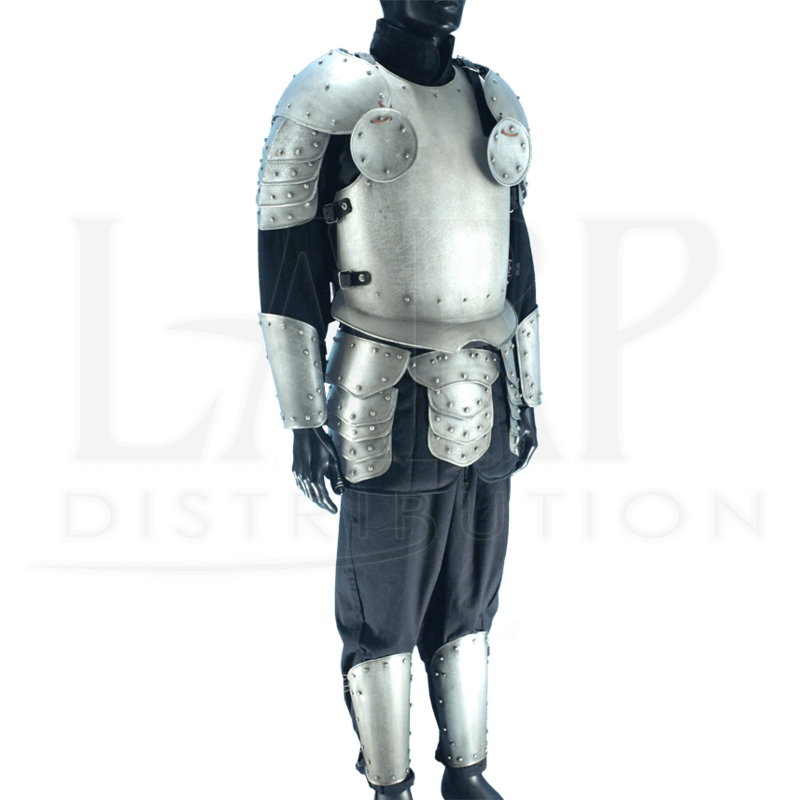 Enter the LARP battleground fully suited with the Epic Warriors Complete Armour Package, Size Small. This suit of armour includes the Epic Warrior breastplate, backplate, pauldrons with besagues, tasset belt, bracers, and greaves. Crafted from 18-gauge galvanized mild steel, the armour naturally possesses some resistance to rust. An Epic Metal finish with zinc coating furthers that goal. The armour follows a traditional, simple design. Articulated plating, rivets, and rolled edges increase deflection capabilities. Adjustable buckle straps and leather cording fit everything together. We recommend any of our gambesons be worn under the armour for improved comfort and ease of movement. This armour set is great for LARP, theater, costumes, and the SCA. Check with your local chapter for approval. Care Instructions - Keep away from water. Clean with a metal polish and re-oil occasionally to properly maintain the armour. Use Leather care products for the fittings.